Some people have been saying that single-player games are on their way out, or that they will soon be experiences only offered by small development teams, i.e. not AAA efforts, since the real money is in multiplayer. 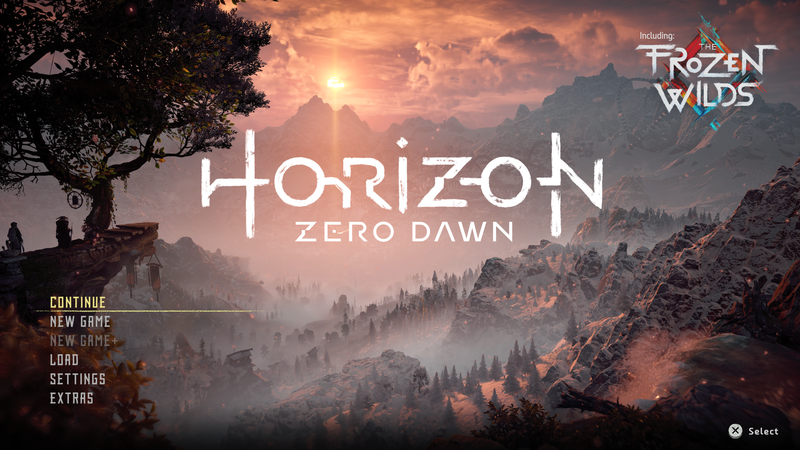 Guerrilla Games has seemingly bucked that trend, going from a multiplayer-heavy emphasis in their Killzone franchise, to a single-player-only experience in Horizon Zero Dawn. While the game launched to critical and commercial success, it seems the developer wanted to expand on the world just a little bit more before moving on. Read on to see if Horizon Zero Dawn: The Frozen Wilds expands upon the base game in ways that are meaningful enough to warrant a purchase. First, I have something very important to make clear: this is not endgame content. The developer actually recommends that the player be at or above level 30 before venturing into The Frozen Wilds. So this is more like mid-to-late game content. Naturally, players can enter the area at almost any time in their playthrough, but if they are not at least level 30, things will be tougher than if they return after first playing more of the base game. I entered around level 40, having already beaten the main campaign for my review, and found encounters to have a fair amount of challenge while not being overwhelming. The Frozen Wilds continues in the distinctive Guerrilla Games tradition of treating gamers to breathtaking views. This new area, known as The Cut, is a vast, mountainous, hazardous, and, yes, frozen wilderness. Snow covers almost everything as far as the eye can see, while the game’s dynamic weather system has been tweaked to allow for snowstorms. Each storm comes at random, and has varying levels of wind, snow density, and even visibility. One storm was so intense during my playthrough that I ended up walking right upon a herd of Longlegs without realizing it. In between these storms, though, the forests are alive with activity. Geysers are a particular highlight, and the first time trekking through them is an unforgettable audiovisual treat. So what is Aloy up to in this beautifully harsh environment? A tribe just briefly touched on in the regular campaign, the Banuk, are heavily featured in this expansion. A new threat known only as a “Daemon” has been acting like a virus, causing the nearby machines to behave in especially aggressive ways. Naturally, the good-natured Aloy sets out to figure out what is going on, and how it can possibly be stopped. While technically only an expansion, The Frozen Wilds has a playtime of approximately 12-20 hours, depending on just how stringently the main questline is followed. So your eyes are not deceiving you; this one piece of DLC will last longer than other full-priced games. Beyond a new area to play in, there is now new wildlife to find and fight, both of the organic and metallic variety. New animals include goats and badgers, squirrels and owls. They can be hunted for meat, skin, and bones to be used for crafting potions and upgrades to weapons, including the new weapons introduced throughout the expansion. These new weapons are Horizon versions of a flamethrower, pulse/energy rifle, and even a mine launcher which you can dislodge from one of the expansion’s newest enemies. This includes the fearsome Frostclaw, which is a massive, polar bear-like machine that has control over ice, and is a massive undertaking to defeat. Guerrilla Games has mentioned that they love to create new machines, and it absolutely shows in each of the new machines shown in The Frozen Wilds. Guerrilla Games wasn’t content with just unleashing a new massive play area. They also introduced a few new game mechanics. The biggest change here is a new branch of skills for Aloy to acquire. Dubbed the Traveler skills, these enable her to perform more actions while on a mount, such as picking up resources, or leaping off a mount to perform a first strike on an enemy. Another skill allows Aloy to repair mounts in exchange for some metal shards. Other skills include raising the chance of collecting rarer resources from animals, such as bones. In all, a dozen new skills can prove helpful to anyone playing not only the expansion, but also the rest of the game. To top all of this off, the story in The Frozen Wilds is much more tightly focused than the lengthier main campaign. Aloy’s goals are pretty simple, while side quests can also keep her busy when a point in the story requires leveling up or is just too far away to travel to all at once. There are still data points and audio logs to recover from the ancient world, shedding light on some aspects of mega-corporate life before the cataclysm. But now, there are also paint pigments and old animal figurines to collect and turn in for rewards. There’s even a brand-new currency, in the form of a shiny crystalline element known as Bluegleam, used to trade for new Banuk outfits and weapons. Horizon Zero Dawn: The Frozen Wilds is everything DLC is supposed to be. 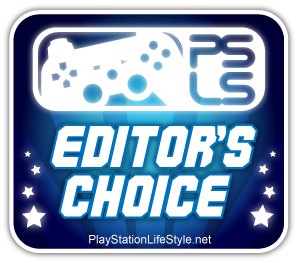 For only $19.99 ($14.99 if you’re on PlayStation Plus), the wonderful playground we last saw Aloy in is expanded by an impressively large, immaculately detailed, diverse landscape. Like the base game before it, this is a tough area that almost everyone will enjoy exploring. Yet for those who hate open-ended games, fast travel points and simple navigation can keep you on the beaten path, if desired. With more content in this fantastic expansion than other entire games, The Frozen Wilds is a must-buy, can’t-miss experience. Horizon Zero Dawn: The Frozen Wilds review copy provided by publisher. Version 1.40 reviewed on a PS4 Pro. For more information on review scores, please read our Review Policy. New cutscenes make base content look less polished!